fMRI Study of Inhibitory Control is designed to examine children’s behavioral performance and brain activation during an inhibitory control task. MRIT: An fMRI Study of Inhibitory Control was designed to examine children’s behavioral performance and brain activation during an inhibitory control task. The study involved data collection with a subsample of 9–13 year-old children who participated in a randomized efficacy trial of Treatment Foster Care of Oregon for Preschoolers (TFCO-P). The randomized efficacy trial of TFCO-P started with three groups of preschool-aged children: foster children who received the TFCO-P intervention, foster children who did not receive the TFCO-P intervention, and children who were not in foster care. This study investigated the long-term impact of early experiences and the TFCO-P intervention on the structure of specific brain regions assessed via magnetic resonance imaging (MRI), connections between specific brain regions assessed via diffusion tensor imaging (DTI), and activation of specific brain regions during an inhibitory control task via functional magnetic resonance imaging (fMRI). Dr. Bruce received her Ph.D. in Child Clinical Psychology from the University of Minnesota in 2005 and has been a Research Scientist at the Oregon Social Learning Center since 2009. Her program of research focuses on the impact of early adverse experiences (e.g., child maltreatment and multiple caregiver transitions) on the development of young children. She is particularly interested in the development of behavioral regulation (or the ability to voluntarily regulate one’s behavior to meet the demands of the situation) and the underlying neural systems. 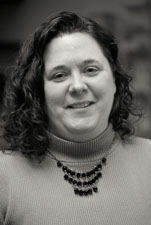 She has been the principal investigator or co-investigator on a number of longitudinal studies involving the collection of behavioral and neurobiological measures, including event-related potential (ERP), event-related functional magnetic resonance imaging (fMRI), salivary cortisol, and autonomic cardiac data, with at-risk developmental populations, such as maltreated toddlers and preschoolers in foster care, kindergarteners with developmental disabilities, and maltreated adolescents living with their biological parents. Currently, Dr. Bruce is the principal investigator on a study designed to investigate the effects of early adverse experiences and the cognitive processes underlying behavioral regulation on alcohol use in maltreated adolescents and nonmaltreated adolescents.